Imported from Sweden, Sleepyhead pods offer a safe, comfortable, nurturing bed for babies of all ages. Sleep pods have a unique design that provides support through raised sides and soft cushioning. Breathable hypoallergenic fabrics and materials ensure a peaceful slumber, while discreet handles on the sides allow the pods to be easily transported. Pods can be placed on beds, floors, changing tables and other surfaces or placed safely within a cot or cradle. Whether you are looking for a secure, comfortable baby bed for your newborn for safe co-sleeping or you are seeking a versatile bed that can help your baby transition to a cot or big kid bed, Sleepyhead pods are not only practical, they are also beautiful, with a choice of adorable zip-on covers and a variety of sizes. The design of sleep pods makes them a great choice for co-sleeping. The pod can be placed on your bed or in a crib or cradle placed next to your bed. Thanks to the raised sides of the pod, there is a far lower chance of baby rolling out of the pod or parents rolling onto the pod. 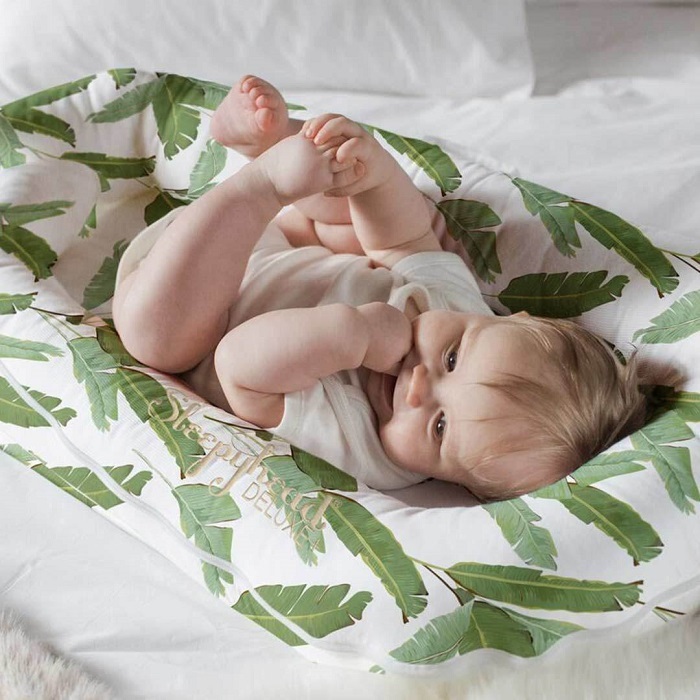 The ergonomic design also allows for a peaceful sleep, allowing babies to move their heads easily, while the porous fabric reduces excessive perspiration and lessens the risk of SIDS. Ideal for cot and bed transition. For babies transitioning to cribs and toddlers transitioning to beds, pods offer the ideal way to make the move as stress-free as possible. Due to their ability to be easily moved and transported, pods can be placed into cots or beds while your little one is getting used to a new sleep environment. Making the move to a big kids bed can be scary for toddlers and parents alike. With its built-in, air-permeable side bumpers that act much the same as bed rails, a sleep pod will add all the comfort your baby needs while they adjust to a cot or bigger bed. A well-crafted sleep pod can prevent startle reflex, preventing babies from waking when this happens, due to the unique shape of the pod that offers cushioning and comfort for heads and small bodies. 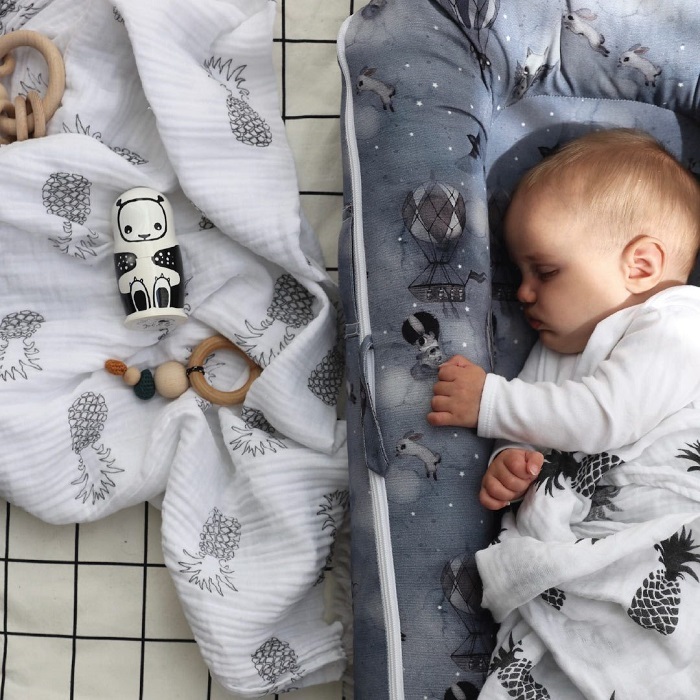 Hypoallergenic covers and pods also ensure a peaceful sleep, while the rounded bumper can also help facilitate tummy time, helping your little one gain core motor skills and neck strength. The womb-like shape of sleep pods further adds to the sense of comfort that they provide, making your baby feel as snug as could be at all times, whether resting or sleeping. Head on over to our baby nursery collection to view our full range of gorgeous Sleepyhead pods that are available to order online at Clever Little Monkey.